console.log(termSet.get_name()); // <- this one dont work ofc. I'm using this code to access my Managed Meta data. The problem I can't seem to solve it how do I get the name of termSet. As you can see in the image below, I used the guid to load "Menu" from "Popermo Navigation", But when i run console.log(termSet) I cant find the name anywhere. Is there a way to get the name Aka "Menu"? You need to explicitly load the termSet. JSOM only fetches the data that you request for. Not the answer you're looking for? 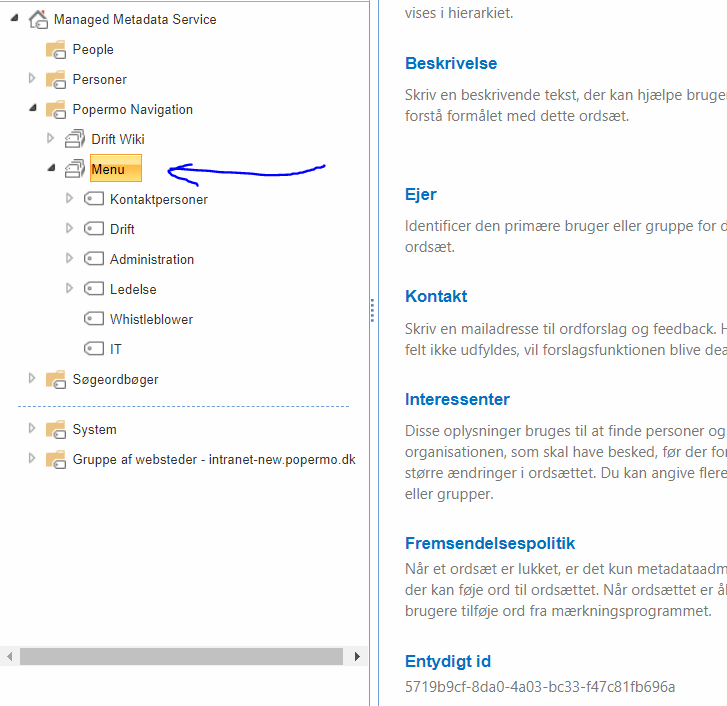 Browse other questions tagged sharepoint-online managed-metadata or ask your own question.